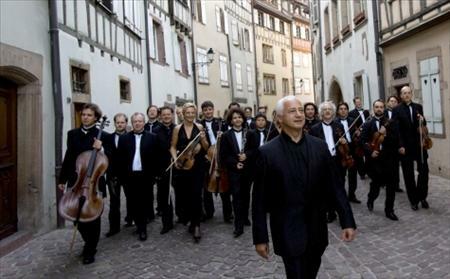 Maestro Spivakov and his Moscow Virtuosi Chamber Orchestra return to US to celebrate their 35th Anniversary. Vladimir Spivakov, one of the world’s prominent violinists and conductors, leads his acclaimed Moscow Virtuosi since 1979, setting up the gold standard for chamber music performance. The Washington Post has hailed the Virtuosi as “a dramatically unified ensemble” with “a sound that would put many full orchestras to shame”. Enjoy an exuberant program and an inimitable performance style from the world’s most celebrated chamber ensembles! The Cherry Orchard Festival, a production of the Cherry Orchard Foundation, is a celebration of the international arts in the heart of New York City. Each of its world-class, multi-disciplinary performing and visual arts attractions is unique and never has been presented before in the US. Some of the Festival’s events are free to attend and open to the public! We find the newest and most daring projects in the international arts arena and introduce it to our audience. Our mission is to initiate and promotes global cultural activity and exchange of ideas to an inter-generational audience through entertaining and educational programs and events in all genres. The idea started a few years back, but the first Festival took place in May of 2013. We are committed to providing the finest entertainment, exceptional musical performances and enlightening educational programs to our patrons. Festival’s events are presented at selected prestigious New York City venues, such as City Center, Yamaha Hall, Rose Theatre, Time Warner Building and Alice Tully Hall at Lincoln Center. We strive to nurture an environment where impactful, artful experiences contribute directly to the quality of life for everyone, and are embraced as essential for the development and growth of the community. We discuss and create art. We imagine the Festival as a safe place for the open exchange of creativity and dialogue, ideas and participation. We envision a full spectrum of exclusive international programmingthat collectively creates vibrancy at the best and most prestigious venues in New York, provides respite and entertainment, inspires learning, and evokes a sense of wonder. The name of Anton Chekhov’s most famous play conjures up images of spring, and to us means the awakening of cultural sensibilities at the crossroads of the classical and the modern stage. We are a young and ambitious team of art, music and theater professionals, looking to shine a spotlight on international culture, while encouraging family participation in the arts. Cherry Orchard Festival Foundation (COFF) is a registered 501(c)(3) organization located in New York, NY and is focused on presenting cultural performances. John Malkovich and the cast of international actors and singers in The Giacomo Variations, directed by the celebrated Austrian director, Michael Sturminger and accompanied by the live Wiener Academy Chamber Orchestra, conducted by Martin Haselböck. Leading international theater company, The Gesher Theatre (Israel), with the U.S. Premiere of “Enemies, A Love Story” by Nobel Prize-winning author, Isaac Bashevis Singer and adapted for the stage by the renowned director, Yevgeny Arye. Classical piano recital by Olga Kern, the striking Russian Gold Medal winner of the 2001 Van Cliburn International Piano competition, of works by Beethoven, Schumann and Rachmaninoff. We had 16,000+ attendees over 10 day period, many attending more than one festival performance. We are looking forward to a new and exciting season! We will present a legendary Vakhtangov State Academic Theatre of Russia at New York’s City Center and Boston’s Majestic Theatre, Vladimir Spivakov and Moscow Virtuosi Chamber Orchestra Gala-Concert and Benefit reception at Lincoln Center, an art exhibition and charity auction of works from private collections, a spectacular showcase of young star instrumentalists of the UNESCO-prizewinning Vladimir Spivakov International Charity Foundation, and many more events. This entry was posted on February 25, 2014 by Nery in 2014.